School formals are important events. The kids going to them are at that crucial age when there is a need to impress, to jockey for social position, and just to be bleeding cool. 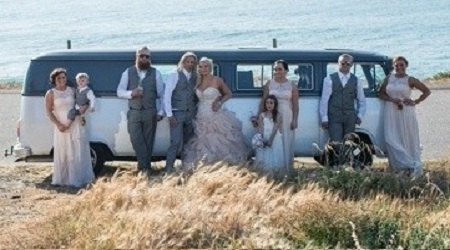 School formals are a chance to do that, and one way to accomplish the goal of making a splash is arriving in a split screen kombi. Our VW Kombi designs come with vintage exteriors, but they have modified interiors for modern convenience. You can go with our white kombi, which seats six. Or you can go with the green model, which has room for seven. Both use the classic VW design. Our VW Kombi brings a few more fun features to the game. You won’t have to turn your backs on your friends because all the seats have been rearranged so you can face them as you ride. Connectivity is part of the package, as we have ports for iPhones and other standard consumer electronics built into the interior. You won’t have to settle for what’s on the radio; you can fire up your playlist! Naturally, our guests get a full red carpet treatment to and from their school formal. No night is complete without pictures. Today’s generation loves to take pictures, to savour the moment and make great memories. With our split screen kombi, that won’t be a problem. We would love to bring you to any scenic spots you want to visit for a quick photo session. What are you waiting for, kid? Attend your school formal in style with our VW Kombi.